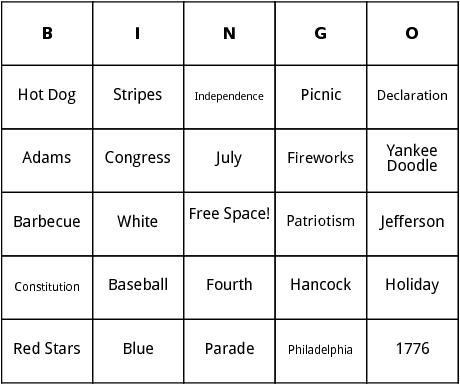 These 4th of July bingo cards contain 25 words regarding the day. The day that America claimed independence from GB is the fourth of July. The common celebration for this day includes fireworks and having a Barbecue. You can print out these bingo templates for free when you sign up.